If you are having problems with anxiety, stress and concentration, this might easily be the product you are looking for. Of course, the choice is yours to make and in the later text you will find out everything you need to know about the True Calm pills – how do they work, what are the ingredients and are they in any way harmful for your body, when to take them and most importantly why to take them. Since you are already reading this review, you are either having anxiety problems yourself or you are merely interested in the way this, or these kinds of supplements, works. Either way, you are in the right place. 1 What are True Calm pills, and what do they offer? What are True Calm pills, and what do they offer? 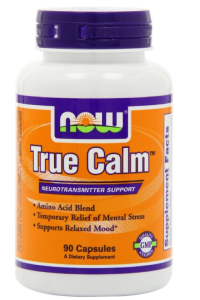 True Calm pills are made by the company named New Foods, and are a mix of amino acids (what cells and muscles are made of) and they are made to temporarily relieve you of mental stress by using those amino acids. And you should definitely pay a lot of attention to the word „temporary“, which tells you that supplements are in no way made to cure the body of the problem it might have – just to offer an impermanent comfort. What True Calm offers is a very healthy way of feeling relaxed and stressless again, and the way that this is achieved is by releasing neurotransmitters and herbal extracts into your brain which make you feel better. The first ingredient that should be mentioned is GABA (200 mg), which is an abbreviation of gamma-aminobutyric acid. Normally, your body produces GABA on its own with the help of glutamic acid (a very important neurotransmitter). But, if your body has problems with producing GABA and if the produced GABA is too low, the end result you get is anxiety. It is one of the most important neurotransmitters which help to calm your brain when it becomes too excited (using a lot of neurons at once). And when it’s not working properly, all that excitement results in anxiety – feeling of being suffocated and not able to control anything. Another important thing to mention is vitamin B6 (8 mg) in it, which naturally helps to boost GABA. 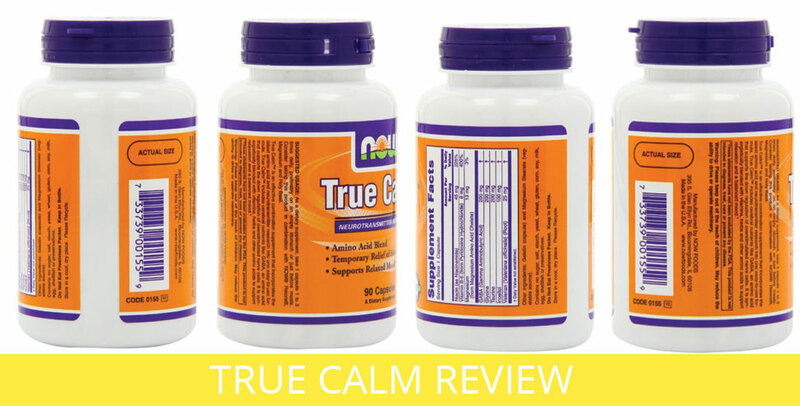 The smallest amount of vitamin B6 is enough, and True Calm pills offer just the right amount. Valerian (25 mg) root is also one of the most important ingredients of these pills. The medicine made from Valerian root is used to help with sleep issues such as insomnia. And it is also known to help people who suffer from depression and anxiety. It acts as a sedative and calms down your brain. Because the True Calm pills are based on natural ingredients and have no chemicals in them, there are little to no side effects. And when it comes to reviews by other users of these pills, no one listed any side effects. The only thing we would recommend you do is starting with a minimum dosage – taking less than you need – and then build up your dosage by need. Because these supplements make you relaxed and less stressed, it is advised not to drive or operate machinery while the effect is still strong. Do not drive while using the pills. If you are a pregnant woman or nursing, or you are already using prescribed medication used for anxiety, and you want to use these pills, you should consult your doctor. This product is not made to treat or cure any disease, only to offer temporary relief. You should keep this product out of the reach of children. You should take 1 capsule 1-3 times a day and it’s is best for you take them on an empty stomach, before a meal. With everything been said, it is time to check what facts show the strength and what facts show the weakness of this product. Of course, no product is perfect, and everything we use has some bad qualities as well as the good ones. If you give a chance to this product, you can be your own judge and realize for yourself what you liked or hated about this product. Although, not a lot of people had said bad things about these pills, there are some that we found and will single out. Amazon is one of the best places online where you can buy these pills – it offers discounts, all the information you might need about this product and reviews from other people who have used this product (or are still using it). The reviews are, as usual, very versatile. There are people who loved this product and of course, there are also people who hated it. What we have noticed with the people who didn’t like this product, is that they made their assumptions after a few days of using these pills. You should know not to expect these kinds of products to work after one dose. You should give it time, and you might be surprised by the end result. Now foods always have decent products and their ingredients are simple and effective. These pills were no miracle anxiety pill and definitely aren’t prescription worthy but they do help to relax and take the edge off. I am a finance student and I am anxious all the time about my school work. Now that a new semester has started I wanted something besides valium or any other drug to control my anxiety and this works! Great product. I tried Valerian, Melatonin, ZMA, you name it for sleep. This is the ONLY product that helped me get some shut-eye. Highly recommended. I have been looking for something to help with some minor anxiety. Did not want to take any heavy medication, so was looking for something to take the edge off. I tried this and other products; they had no effect on me. I was skeptical, but these really help calm me down when my anxiety is really high. They help give me a clear-headedness that helps me get through the moment. Two can put me to sleep though. If you are looking for a product to help you calm down after having a hard day at work or when you are experiencing some anxiety, it could be very helpful. And if taken in the night, it can help with falling asleep. It is very important that you understand that this is only a supplement and it can’t be used as a treatment. Overall, this product has proven itself to be efficient in what it’s made to do – offer temporary relief.